Ill be backpacking in Arizona and will be crossing a creek many times per day. Depth between ankle and waste deep, temps in the 90's. what are the most comfortable socks to backpack in while wet? I normally where smart wool, but I believe polypropylene holds less water. I have waterproof sealskinz which are very comfortable but ill be in water deeper than the sock so waterproof is not what I'm looking for. Does anyone have neoprene socks that are not waterproof and that fit well, ie; no seams.? Also, I'm debating whether to try to get away with wearing my merrel water shoes instead of my goretex boots for obvious reasons, but the pack weight and lack of ankle support might be an issue. The Seirus Neosock is the best neoprene sock I've found. While it has a stitched seam, I've never ever been conscious of it while wearing it. They're much more durable than cheapo neoprenes, and vastly more comfortable than SealSkinz. I wear them "naked" in wellies for long long caving trips with occasional deep water, and wear them with a thick smartwool hiking sock overtop in Joop Boots when there will be extended wet and dry hiking. I use the NRS Neoprene Socks. I wear a thin capeline liner with them. I have been pleased with this set up for years. I wear them on 99% of my cave trips. I have never tried the Serius Neosock, but they look nice, too. I tried on the Nrs hydroskin sock and it was very uncomfortable. The large wouldn't fit over my heel and the xl was way too sloppy. The sealskinz fit me like a glove but I'm not sure if they offer a non waterproof version. I saw the serius neosock but didn't pick it up while I had the chance. I don't think your feet will dry in neoprene, and some polypropylene socks give me 'rugburn'. Maybe just carry a second pair of normal socks? Or bring good sandals and a small towel? I'd just wear some thin merino hiking socks and light, breathable, quick-drying hiking shoes. If you're in summer temps it's best not to fight the water and have quick drying gear. Neoprene socks in 90 degree temps will just give you feet stank and fungus cultures. They worked just fine. My feet weren't cold or anything. Though I only hiked something like 6 miles, so maybe that's not a good enough test for you. But plantar faciitis was the only problem I had with my feet on that hike. You might think of bringing a snake bite kit. There was that thread here recently about snake bites and how a snake bite kit really can potentially save a life. 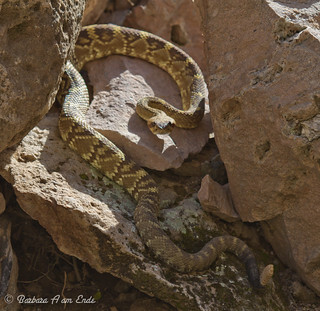 And there are snakes in Aravaipa Canyon (and of course, much of the rest of AZ, too). Squirrel Girl wrote: You might think of bringing a snake bite kit. There was that thread here recently about snake bites and how a snake bite kit really can potentially save a life. Don't be too sure about that. The concept of a snake bite kit is outdated, and the medical profession generally recommends lay people do not attempt to incise, constrict or suction around the bite area. See this article or google search for others. There was a recent news article crediting the use of a snake bite kit as saving a hunter. However the report seems to hype the use of something which is - at best - a placebo. When I mentioned this, our Cavedoc commented that if you're lucky it's a waste of time. They can actually make things worse. Something about the suction distorting tissue and preventing the venom leaking out by itself. Well, you haven't really said if you are going to Aravaipa, but if you are going there you don't really need socks at all. Just wear tevas or chacos, I think you'll be much happier. If the temps are in the 90s or above, any socks will do. When I have done that hike, I spend most of the day in the water just to stay cool enough. We used to hike this trail when it was 105-110 out. At those temps, you can soak yourself and all your clothes and you will be completely dry in 30-45 minutes. The trail is easy, the main challenge is just staying wet and cool. If you must wear boots and socks, I would just wear some kind of synthetic that will drain and dry. Yes it was Aravaipa! What am amazing place! A true oasis in the middle of desert. I ended up wearing underarmour socks and believe it or not the water was a godsend! My feet stayed nice a cool all day, no hotspots or blisters. Thank you all for the input and I recommend this trip to anyone.